Once again it’s that time of year, grilling season. For the die-hard grillers, this is a year round activity and accordingly, you need a grill that will keep up with your passion. Grills can vary in price, anywhere from $100 to $15,000. But you don’t need to hit the top end of the price spectrum to get a great grill. Over the last few years, grilling has developed almost a cult like following and new contenders are popping up every year. 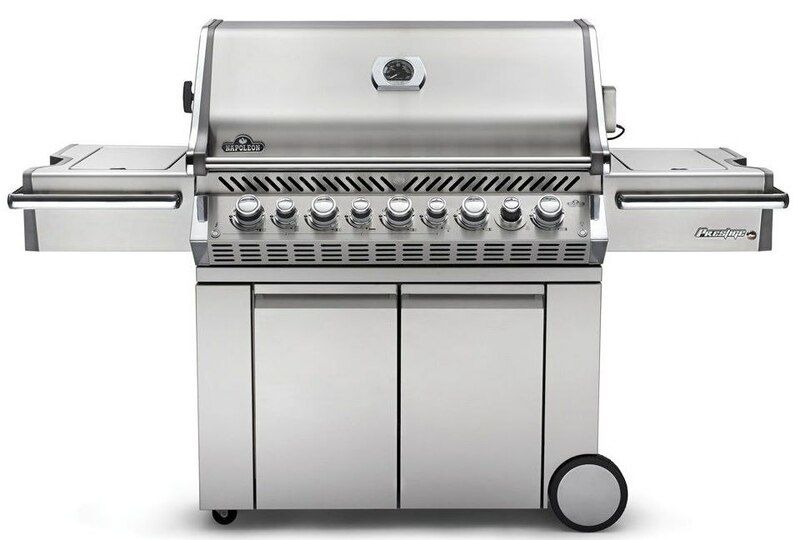 A couple competitive brands with longevity in that $1,000-$3,200 range are Weber and Napoleon. We will look at both companies, the grills and then compare at the end. Wolf Steel Ltd. was started in 1976 by Wolfgang Schroeter in Ontario, Canada making steel railings. In 1981 they started using the name Napoleon. By the mid 80’s they were making wood fireplaces. 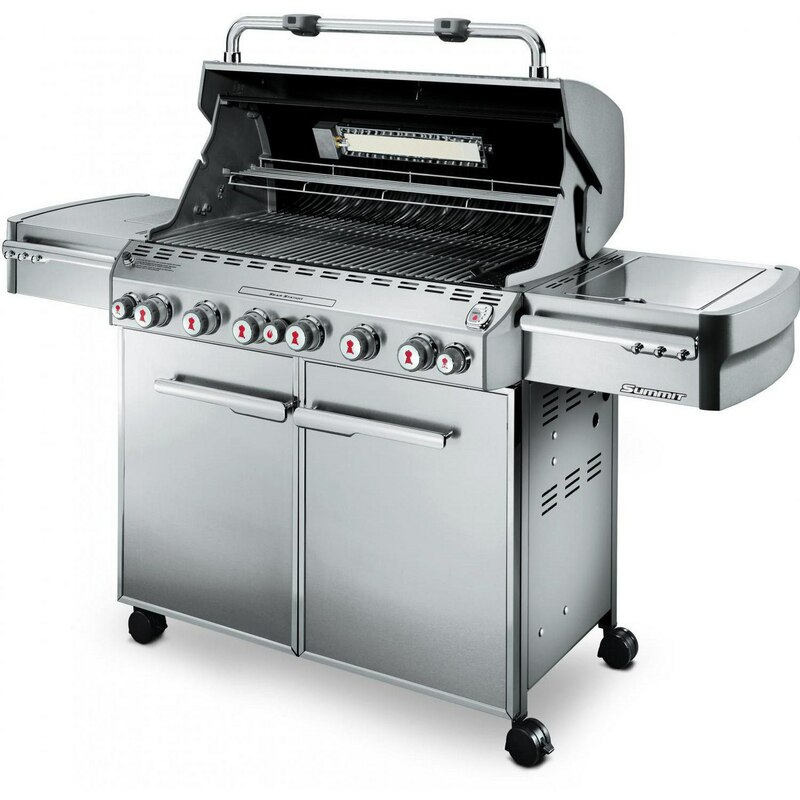 They are now North America’s largest privately owned gas and charcoal grill manufacturer. The first Weber grill popped up in 1952 in Chicago, Ill. George Stephen created the original Weber kettle grill when he cut a steel buoy in half and added some air vents. Since then they have come to represent backyard grilling. 60 years later, Weber is still going strong. They are sold in over 70 countries worldwide. Weber and Napoleon have been battling over backyard supremacy for a few years now. The following grills are the upper echelon of their respective offerings. I am a fan of both of these grills. They have great features with the searing, smoking and rotisserie capabilities. Their main grilling capabilities are virtually a tie. It is the extras where these grills differentiate themselves. Weber has a built-in rotisserie so it’s a quick set-up/disassemble where as Napoleon you have to install and take apart completely each time you use it. Napoleon gives you interior lighting and knob lighting, whereas Weber does downward facing handle lights and knob lighting. Weber does have one sear station in the grill where Napoleon has two, one on each side shelf. Both have a smoking option built into the bottom burners. These grills can pretty much do everything the other can. The main differences between the two are the overall power and the fact Weber has a traditional side burner. Napoleon’s accessory burners are more powerful than Weber. Napoleon only has infrared on the side burners which traditionally is very difficult to control temperature on. So if you want to do anything but broil or sear, it can be a challenge. Although Napoleon is larger, I think the real difference is the price. Is that extra power worth $800 more for the Napoleon? I think for $2,499, the Weber is a better deal. Get the Yale BBQ Grill Buying Guide for specs, features and detailed profiles and BTU outputs of the best grills. Well over 160,000 people have read a Yale Guide.